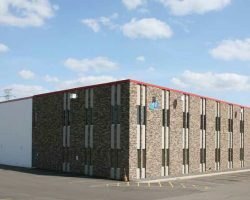 Mid-City South (West) is a 169,686 square foot industrial building located in the Midway industrial submarket, the most centrally located submarket in the Twin Cities Area. Built in 1972, this property has a clear ceiling height of 25 feet, one drive-in door, and 22 dock doors. Mid-City South (West) is 100% leased to Viking Electric Supply, a wholesale electrical distributor. The property was acquired as part of the Minneapolis Industrial Portfolio II.